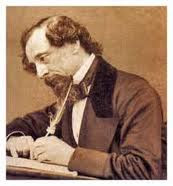 On the 7th of February, the world celebrated the 200th Anniversary of the birth of Charles Dickens, who is today considered the greatest writer of the Victorian period and whose stories and characters are still as vivid and powerful as when they were created, many years ago. In the following exercise we are going to watch a video about the life of this English writer. After that, you can answer some comprehension questions about the contents of the video.